Alison leads and motivates teams and individuals to develop a passion about their own work. 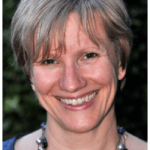 She has a background as a Chartered Accountant, bringing her commercial experience and understanding to the voluntary sector to drive organisational change and sustainability. Alison is passionate about supporting charities to explore creative options to deliver life enhancing services in our challenging financial climate. Alison is currently the Director of Finance and Operations at British Liver Trust. In her recent consultancy projects, Alison has provided financial modelling, training and reviews for several voluntary organisations.